Jean Allain is Professor of Law at Monash University. He was formerly Director of the Human Rights Centre at Queen’s University Belfast. His books include Slavery in International Law: Of Human Exploitation and Trafficking (2013), The Legal Understanding of Slavery: From the Historical to the Contemporary (2012) and The Slavery Conventions (2008). He has conducted consultant work for the ILO, the Organization for Security and Co-operation in Europe, and the UN High Commissioner for Human Rights. Katie Donington is a Postdoctoral Research Fellow at the University of Nottingham. Her research focuses on the history, memory and representation of British transatlantic slavery. She completed her PhD with the Legacies of British Slave-Ownership project at UCL then was a Postdoctoral Research Associate with the Structure and Significance of British Caribbean Slave-Ownership project at UCL. Katie has a long-standing interest in public history and worked in the museum sector for several years. Hannah Jeffery is completing a PhD in American Studies at the University of Nottingham. Her PhD explores the antislavery usable past in the 1960s as a model for contemporary abolitionism. It shows how muralists and artists used the memory and legacy of radical abolitionists. She has also worked on an AHRC-funded Connected Communities project to create Nottingham’s first black history mural. She has a BA and MRes in American Studies. Hannah-Rose Murray researches formerly enslaved testimony within the Black Atlantic. During her PhD thesis, It is Time for the Slaves to Speak: Transatlantic Abolitionism and African American Resistance, she argues that activists adapted to the climate and region they spoke in, and to the people they lectured to, in order to win support for abolition. In doing so, their flexible and radical self-representational strategies had an extraordinary impact on the British and Irish public, and we can use this theory to explain why some abolitionists were more successful than others. Murray has developed a digital humanities project, where she has mapped the speaking locations of African American abolitionists in the British Isles www.frederickdouglassinbritain.com. Rebecca Nelson is completing a PhD at the University of Hull. Her PhD examines the antislavery usable past within a museum environment, showing how museums engage with contemporary campaigns. Having worked in several museums and heritage institutions, Rebecca is focusing on how their work with memory can contribute to a greater engagement with issues of ‘difficult heritage.’ She has a BA in History from the University of York and an MA in Museum Studies from Newcastle University. John Oldfield is Wilberforce Professor of Slavery and Emancipation at the University of Hull and Director of the Wilberforce Institute for the Study of Slavery and Emancipation. His books include Popular Politics and British Anti-Slavery: The Mobilisation of Public Opinion against the Slave Trade, 1787-1807; Chords of Freedom: Commemoration, Ritual and British Transatlantic Slavery and, most recently, Transatlantic Abolitionism in the Age of Revolution: An International History of Anti-Slavery, 1787-1802. Katarina Schwarz is completing a PhD at the University of Nottingham. Her PhD explores the antislavery usable past within the context of legal claims to reparations for slavery. It analyses the role of reparatory justice within the current legal landscape, and assesses this against the objectives of the contemporary slavery reparations movement. She has a LLB (Hons) First Class and a BA in Theatre Studies and Performing Arts from the University of Otago, New Zealand. 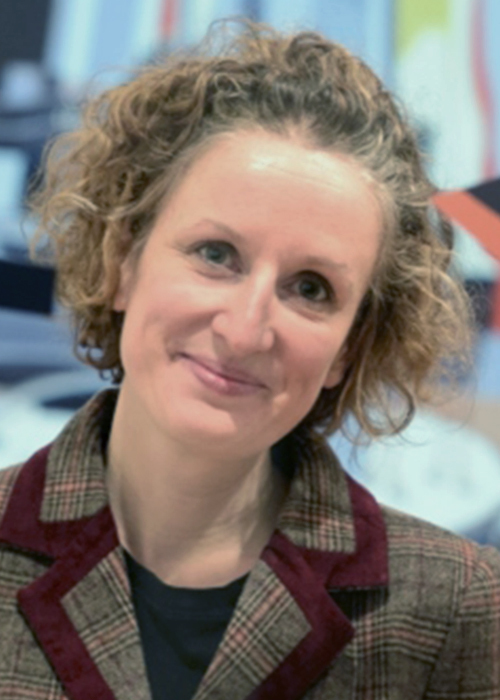 Zoe Trodd is Professor of American Studies at University of Nottingham, director of the university’s Rights Lab (a Beacon of Excellence), and co-director of the university’s research priority area in Rights and Justice. She has published books about historic and contemporary slavery, the abolitionists Frederick Douglass and John Brown, and American protest literature. She is a member of the board of Historians Against Slavery. Mary Wills is a Postdoctoral Research Fellow at the University of Hull. She works on Britain’s abolitionist mission in the nineteenth century, including its intersections with empire and national identity. Her PhD focused on the Royal Navy and the suppression of the Atlantic slave trade and was funded by the AHRC in collaboration with the National Maritime Museum. She also has degrees from Cambridge University and UCL and worked for several years in the heritage sector before beginning her PhD. Charlotte Lloyd is the Project Officer for the Antislavery Usable Past who joined the team in April 2017. She has previous research project management experience after working at the University of Nottingham on a 5 year AHRC funded programme ‘Landscape and Environment’ and also an MRC funded programme in the Medical School. She has a first class BA (Hons) in Design Management from Nottingham Trent University.